Below is a comprehensive list of hotels in Threlkeld. Use the sort links to refine your search or to find featured accommodation in Threlkeld. Many of our hotels in Threlkeld feature no booking fees and best price guarantee when booked through the Pictures of England website. 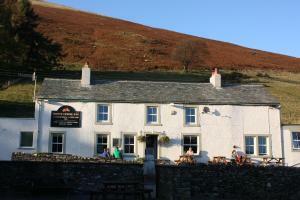 To list your hotel in Threlkeld, click here. Situated in the picturesque village of Threlkeld within the Lake District National Park, The Horse and Farrier Inn and The Salutation Inn Threlkeld Ke.. Situated in Threlkeld in the Cumbria Region, this holiday home is 28 km from Windermere. The property features views of the garden and is 6 km from Ke.. 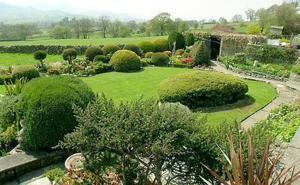 Guards Cottage is a holiday home situated in Threlkeld in the Cumbria Region and is 28 km from Windermere. The property is 6 km from Keswick and free ..
Nestled in the Cumbrian countryside, The White Horse Inn and Bunkhouse offers dormitory rooms, free parking, free Wi-Fi in public areas, a coin-operat..